I saw this article online yesterday and thought it gave some really interesting insight into how celebrities manage their public image. It's focused around the Affleck/Garner divorce, but there's lots of info about how the pap strolls are organized, and that publicists hate social media because it's making them obsolete. 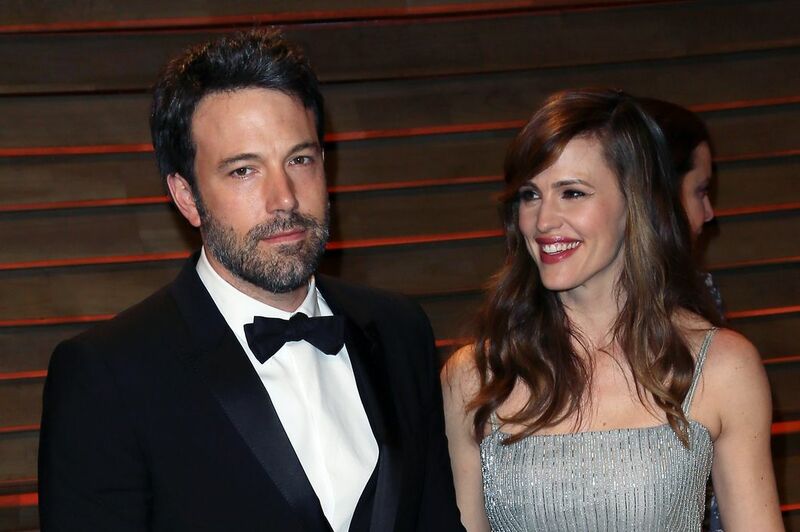 Last week, after close to a month of speculation, Ben Affleck and Jennifer Garner announced their divorce. Why did they wait so long? Why were there so many false reports about them being fine? Will we ever find out the truth? To find out, we asked the Hollywood publicist who handled Ben’s breakup with another Jen. At present, Rob Shuter is a host on VH1’sThe Gossip Table, but he got his start doing PR for Jennifer Lopez (during her split from Ben Affleck) and Jessica Simpson (during her divorce from Nick Lachey). We caught the voluble Brit between TV appearances late last week for a discussion of Ben, both Jens, his irritation with John Mayer, staged paparazzi shoots, and publicists’ worst fears. Jennifer Garner and Ben Affleck finally announced their divorce after weeks of speculation. What kind of considerations go into a celebrity divorce announcement? I've known instances where a member of that couple has told their publicist before they've told their significant other. I can't tell you who, but it's happened at least once to me, and once to a friend of mine. The hair and makeup people, they always seem to be the first to know. Sometimes the publicist, the hair and makeup people, the car driver, the security — they'll have a little pact where they all tell each other what's going on. Celebrities are people, after all. Often they don’t tell the truth. When troubles are happening in their personal lives and they haven't processed it, or they're embarrassed to talk about it, they're not always ready to call someone they pay, who may live in New York City. Sometimes it’s tricky to find out what’s going on, as a reporter or even as a publicist. It's when the sources go silent — radio silent — that you know there's a problem. With Ben and Jen, I'd heard rumors for about six months. When I started not getting texts back, or calls back, that's when I knew something was going on. If you can't find a source to defend the marriage, you know there's trouble. That makes sense. When a regular family is breaking up, there will still be family members who claim, "No, it’s not going to happen." What happens when celebrities decide they are pulling the plug is that they'll call their PR teams and the two different publicists — hers and his — will get on a phone call and negotiate a statement. Often you know which outlets these people prefer because they're always the ones that get it first. When do you think we’ll hear directly from Ben and Jen? Oh, Ben’s going to Comic-Con. He’s got Batman in two weeks. I think they’re hoping that when Batman comes out, this has died down. But maybe if he turns up somewhere, maybe there will be more press. I heard rumors that their publicists had this on the schedule for a while. Sunshine Sachs is a major PR company. They’re really smart with it. They don’t want to overshadow the movie. Now that it’s out there, he will probably have a very firm, carefully crafted answer. He can say, It’s a private matter, or This is something that’s heartbreaking to me, or We’re still great friends. He’ll have a few stock answers that he can pull out, and then he’ll move on and talk about the movie. The mistake will be if they say, “No personal questions.” It will make everyone feel as if there’s an elephant in the room. You actually managed publicity during a previous Affleck breakup, with Jennifer Lopez. I probably can't give you specifics about Jennifer, but I can say that when she broke up with Ben, it was carefully thought through. Not the breakup — they make the decisions by themselves. We’re not their marriage counselors. I'm not her friend, I'm not even her hairdresser. Publicists who think they're friends with celebrities make a terrible mistake. We're paid professionals who handle getting messages out. Some people are hoping those two will get back together. There were rumors that their relationship played into the current marital drama. What do you think of all that? I think Jennifer will be fascinating to watch, because clearly she’s still with Casper Smart. [Editor's note: Soon after this interview, J.Lo and Casper made an “all smiles” paparazzi appearance, which would seem to clarify her commitment to him, not Ben.] But if there was a photograph of Jen and Ben together, that just happened to hit the same weekend that his movie came out? I think the paparazzi would explode. They were a gorgeous couple who played into the attention. They gave us a lot of access to photograph them. When he was on a boat, rubbing cream on her fantastic bottom? That’s why those two exploded in the press. Speaking of which, you also managed one of the first reality-TV breakups, Jessica Simpson's divorce from Nick Lachey. I worked for Jessica when she and Nick broke up. I think it was a big holiday weekend, I don't remember which one, but there was a statement that her team and his team agreed on — it went back and forth several times — and it got put out on a Friday. I think people thought we did that deliberately to bury it, but we're not stupid. It didn't matter if you did it on a Friday or a Tuesday, that was going to be big news. Jessica had a relationship with Us Weekly, so they got the statement before anybody else. How much does the client's personality play into the public announcement? Oh, 100 percent. If you have a reality star who enjoys attention, you handle it very differently. You’ll stage photo ops. You’ll stage the paparazzi when they're walking down the street looking very sad, wearing black. Even Princess Diana was not above this. She went to the most romantic building in the world, the Taj Mahal, and cried on a bench by herself in front of the press. How overt are the discussions between the celebrity and the publicist, and the publicist and the paparazzi, in moments like that? You were also working with Jessica during that breakup with John Mayer. John at times claimed that he disliked the press, so when they broke up, I think she felt that the press broke them up. But I think we've learned now that nobody likes the press as much as John Mayer does. The only time we ever got to see Jennifer Aniston out was when she was dating him, and he used to march her from La Esquina to his apartment, and that was for blocks. That girl never, ever gave photographs, and suddenly there's literally a marching press corps that's following her down the street. Jennifer Aniston. She’s like a stealth bomber. As long as I’ve been doing this, you never get pictures of Jen unless she wants you to. I remember when I was working with Alicia Keys, and John was working with her, I think they did something at Radio City? At the time, his publicist was very aggressive about making sure that John wanted more attention: “John likes press, he likes to do interviews, he likes being on magazine covers.” Which he wasn't until he started dating Jessica. After that, my goodness, he just dated celebrities constantly. You’re so smart about this, it’s like putting together a jigsaw puzzle. It is kind of fun, isn't it? It's like a murder mystery. I can always tell the fingerprints of the outlets that people work with just by seeing how things break or where they break. What I predict is going to change in the next couple of years, pretty fast, is instead of issuing these statements through a publicist, that the Taylor Swifts and the Kylie Jenners will do everything on social media. I don't think they need to pick an outlet anymore. I don't think they need to find a media partner. The other big trend that fascinates me is how the slightly older generation deals with the Taylor Swifts and the Kim Kardashians, who are taking up all the oxygen, online at least. Taylor Swift, a couple of days ago, posted a picture of her and her boyfriend, Calvin Harris. It was a beautifully composed picture. It looked like Annie Leibovitz! I always wonder what Julia Roberts thinks of all this. That was a person who was always guaranteed a cover of Vogue when a movie came out, and I don't know if that happens anymore. That was a celebrity that, no matter what movie she had, you could call up People magazine and get a cover. I don't know if that's true anymore. I would have really loved to know what other celebrities thought when Kim Kardashian landed that cover of Vogue, because once that happened, the game was over. What’s the publicist’s role when a celebrity announces something on Instagram? Are publicists involved in important tweets? Oh, publicists are terrified of Twitter. Publicists are absolutely terrified that celebrities have figured out that they don't need to pay eight, ten thousand dollars a month to put out a statement that they can just do themselves. Thanks Missa. Interesting read. My advice. Ben stay away from JLo and JLo stay away from Ben. Be grown-ups please! I don't think Ben would go near jlo that relationship made him a joke with fans.